It is situated at the end of a quiet private road near the medieval church of Berrow, in the heart of rural Worcestershire. 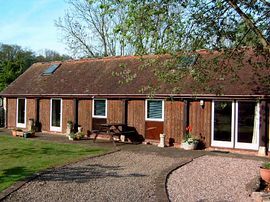 With easy access to the M5 or M50, the property provides the ideal base to explore the cathedral cities of Worcester, Hereford and Gloucester, the market towns of Ledbury, Malvern,Tewkesbury & Upton on Severn or the many pretty Cotswold villages. Gadfield Elm Chapel is just a couple of miles away. All on ground floor: the living room with French doors gives views over the garden, dining area with wooden floor and kitchen area. 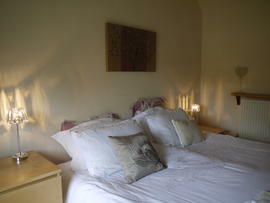 2 bedrooms: 1 double with French door, 1 super king size double (can be twin on request ) with French door and Velux window. Bathroom with bath, shower attachment and toilet. Beams throughout. Woodburner in living room (initial fuel inc). Oil CH.Bed linen and towels inc. T.V.,DVD. CD.iPod dock.Elec cooker. M/wave. D/washer. Private lawned garden and furniture. Off road parking. No smoking or pets please. 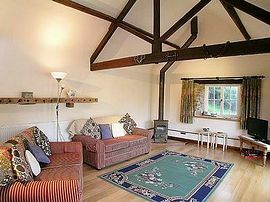 Dates back to 1650 with loads of beams and character. £100.00 to £500.00 per week. 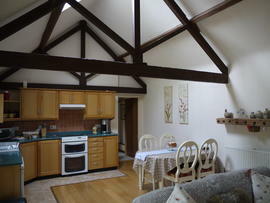 Open all year for self catering weeks and short breaks. 'Comfortable, pristine and well equipped.' Terry & Alison. June 20009. 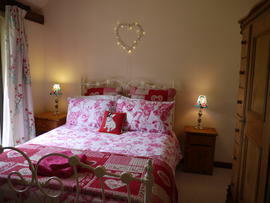 'We enjoyed our stay in this beautiful spot, lovely and welcome.' Phil & Mary. April 2009. 'Really enjoyed our stay, so much to see in the garden with all the wildlife.' Nigel & Yvonne. May 2009.